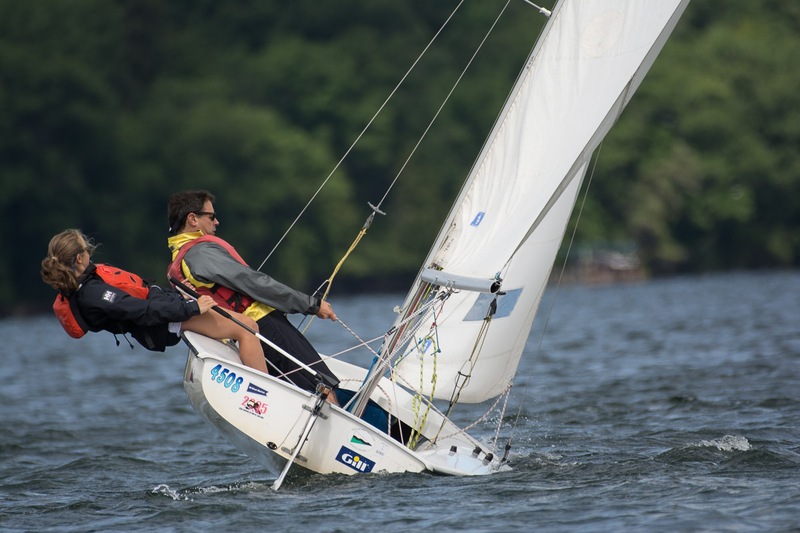 On Saturday, August 5th, the WBYC Junior Fleet hosted their first ever parent-child regatta. Junior sailors captained 420s with their parent as crew. We had a great turnout – with a total of nine teams, participating in two races each. Plenty of laughs, great wind (15 MPH steady) and sailing, and a capsize were the highlights of the event. We are planning to repeat this event each year, with the winner being posted on the Ian Marshall Memorial Daggerboard on permanent display in the Junior Sailing Room. This year’s winners were Olivia and Mike Corasaniti, with this being Mike’s first time in a racing dingy! Congratulations to the Corasaniti’s and all the Junior Fleet participants!